The decorated, machine-made NACHTMANN Noblesse Pitcher is the perfect complement to the drinking glasses of the NACHTMANN series Noblesse. Offer prepared cocktails or soft drinks for refilling. Thanks to the large opening, drinks can be filled very easily and served drip-free via the spout. NACHTMANN Noblesse brings glamour and a touch of luxury to every home. 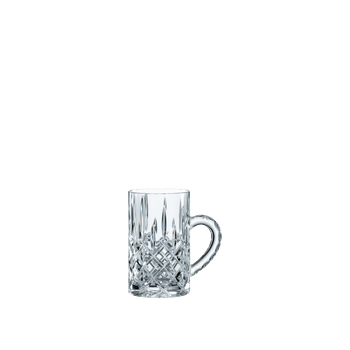 The pitcher is made of the finest crystal glass and celebrates the revival of classic cut design. As all NACHTMANN crystal this item is dishwasher safe.